What better way to show honor to the soldiers and families that sacrifice so much for our freedom, than to display symbols of the freedom we have because of them. 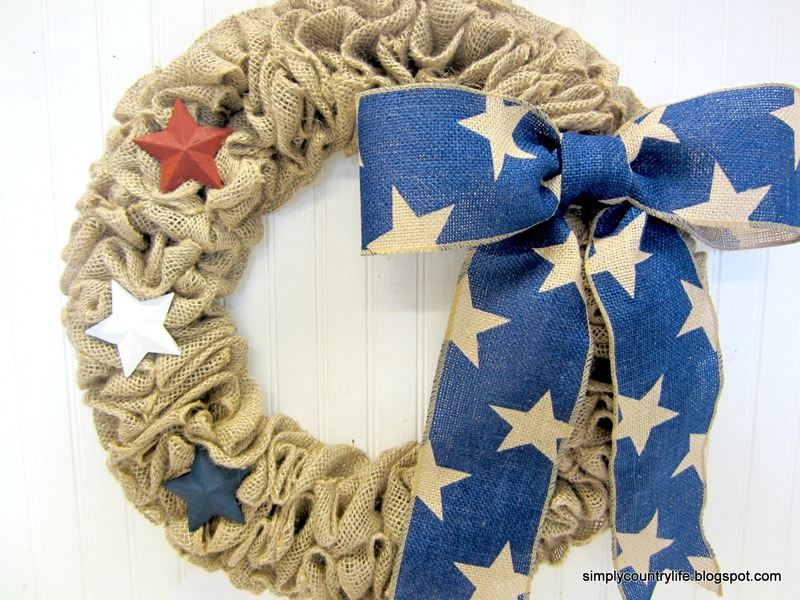 As we take time this Memorial Day to remember and thank our heroes, past and present, I thought I would share a patriotic burlap wreath that I made. 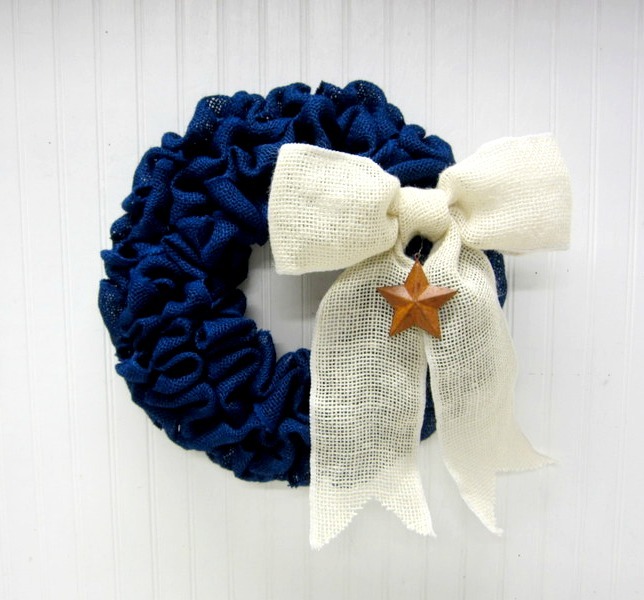 and a wired burlap bow that is blue with stars on it. the one above is 20" and the one below is 16". Here is another design that is patriotic and also reminds me of the men and women who protect us everyday in a different sacrificial manner, our police and firefighters. 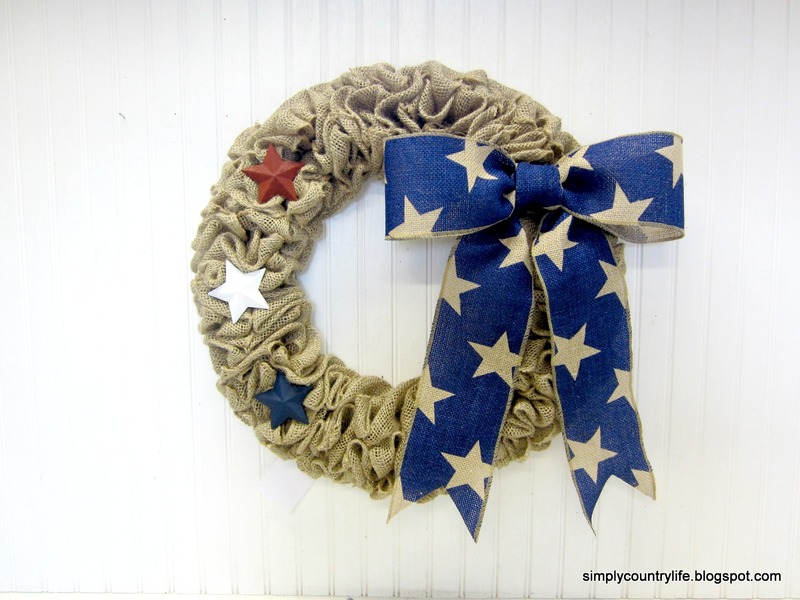 This wreath is made with dark blue burlap, a wired white burlap bow and a rusty star. I hope you have enjoyed your holiday weekend. I took a little down time this weekend to spend with dear friends that were visiting from So. 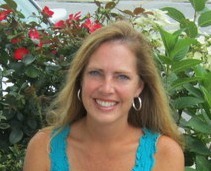 Florida and now I'm getting ready to expand Simply Country a little more. I'll be setting up a window space/booth in an antique store in Inman SC this week! I'm super excited to be growing into another area and nervous at the same time. I'll keep you posted about it and post some pics of the space once it is set up. Sing it! Thank you so much. 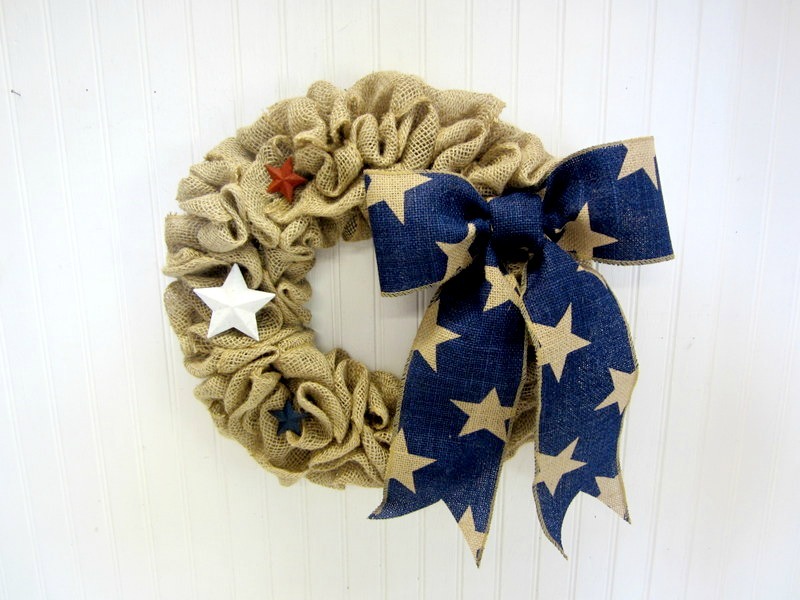 You incorporated everything beautifully, it projects the patriotic spirit!